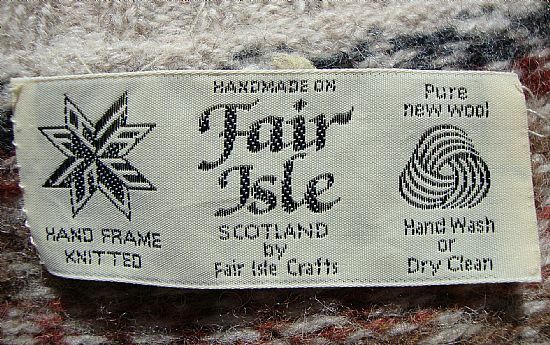 Fair Isle is the true home of Fair Isle knitwear which with its distinctive bold symmetrical patterns has been copied across the planet for hundreds of years. So much so that the term 'Fair Isle' or 'fairisle' has become a generic name for this popular style of knitwear. 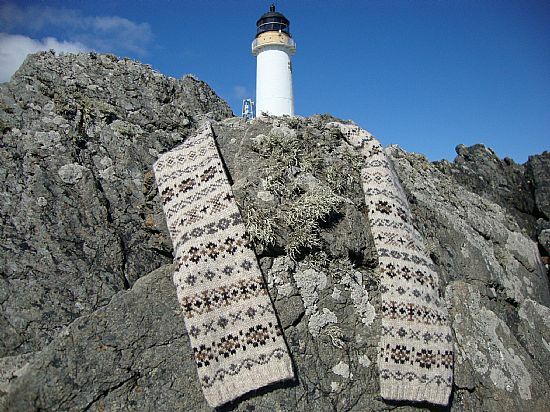 Yet Fair Isle knitwear did originate right here - and the orginal, though often imitated, has never been improved upon. The only authentic version of Fair Isle's eponymous knitwear to be found anywhere in the world is still being produced exclusively and only on Fair Isle by a small number of skilled local knitters carrying on a centuries old tradition. Beware Imitations!